Former board member will lead legal efforts for domain investor organization. Just weeks after taking on a volunteer role as counsel to the Internet Commerce Association (ICA), attorney Zak Muscovitch has been hired as interim counsel. Muscovitch will fill the void left by Phil Corwin. 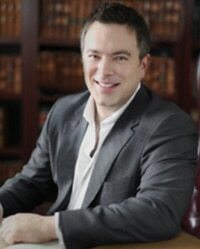 Corwin was counsel to the ICA since it was founded 11 years ago. He left earlier this month to join Verisign. Since the ICA has a full slate of pressing and time consuming matters to attend to immediately that requires the attention of a General Counsel and cannot be discharged in a very limited, voluntary capacity, the ICA Board has requested that Zak resign his Board position and assume the duties of Interim General Counsel for a six-month term on a part time and paid basis. This move should give some continuity to the ICA’s legal work while giving the organization time to figure out what sort of legal resources it needs going forward. Congrats Zak! They have hired the best man for the job. Many thanks for the kind words, and a special thanks to Andrew and DNW for reporting on this announcement. The ICA Board, Executive Director, and I will be working very hard over this interim period to advance the interests ICA members and the domain name community. Phil Corwin has done a tremendous job in representing the ICA for over 10 years and he will be missed by us all. We will be using this 6 month period to work out how best to fulfill the ICA’s requirements and advance its objectives on an ongoing basis, and in the meantime we will be taking an active role on all fronts with a particular eye on UDRP Reform. I look forward to hearing from anyone who wants to discuss ICA or UDRP Reform matters and look forward to meeting everyone in Las Vegas for Namescon.